The door is ajar. Not fully open, it could never be totally open with Roger Federer and Rafael Nadal in the draw, but for the first time since Apple launched the iPhone, the final of this year’s US Open cannot feature two members of sport’s most exclusive club – The Top4. With the late withdrawal of No 2 seed Andy Murray and the absence of Novak Djokovic, Federer and Nadal have been left to fight it out as prospective semi-final opponents in the top half of the draw. With the new Cincinnati champion Grigor Dimitrov a possible quarter final opponent for Nadal and No 6 seed Dominic Thiem in Federer’s quarter – along with Nick Kyrgios whom he could meet a round earlier – that path to the last four is not going to be strewn with roses for the two men who have dominated the tour in such extraordinary fashion this year. But they will still be favorites to dodge the thorns. But what about the bottom half? Marin Cilic, who has been moved into Murray’s No 2 seeding spot, is one of only four former champions in the draw – Juan Martin del Potro is in the top half close to Thiem – and will obviously view his chances with relish. But there are no certainties any more. Will his biggest challenge come from the old guard like David Ferrer, John Isner or Sam Querrey, who is in the best form of his life after reaching the Wimbledon semi-final or is this the moment for a member of the NextGen to step forward? 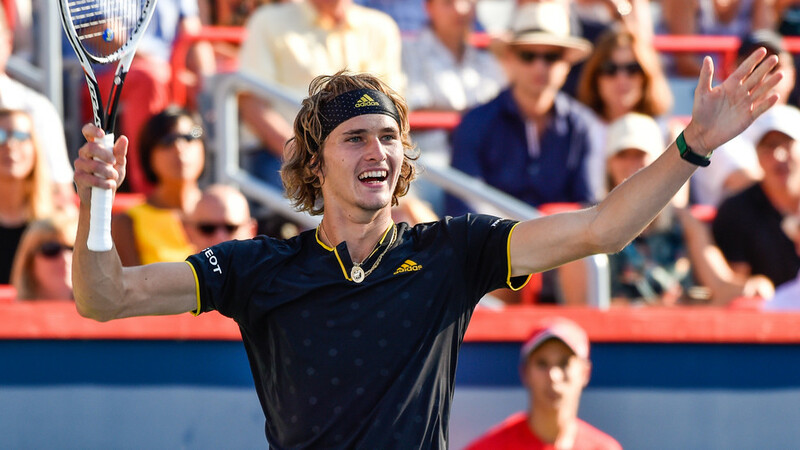 After winning his second ATP Masters 1000 title of the year in Montreal, all eyes will be on the dazzling talent and personality of Sascha Zverev who could meet Querrey in the quarters but Sam may have to deal with the heavy hitting Karen Khachanov before then. Cilic will be wary of the big young Aussie Thanasi Kokkinakis whose talent is beginning to shine again after a year out with a shoulder injury while two more youngsters of high promise, Canada’s spirited Denis Shapovalov and the Russian Daniil Medvedev meet in a first round clash that has NextGen written all over it. So the big question is this: Who has that extra something required to kick that door open and grab a career-defining moment? And what exactly is that ‘extra something’? “Ambition”, says Patrick Mouratoglou without hesitation. I talked to the Frenchman who has just published the English translation (well done to my colleague Paul Newman) of his book “The Coach” about what it takes to get to where he finds himself in life today and how he has tried to raise the game of numerous players who have been part of his academy. Mouratoglou has seen the reality first hand. It was the driving ambition to achieve something worthwhile in life that enabled him to overcome shyness and an inability to communicate properly with people (he refers to himself as a sickly, puny adolescent) and become the owner of one of the world’s largest and best equipped Tennis Academies in the south of France and the coach of Serena Williams. The result, of course, was that Aravane did not stay where she was in the rankings and her career fell away. The necessary ambition was simply not there. The story of how Serena Williams turned to him in near despair after a shocking first round loss to the lowly-ranked French player Virginie Razzano at the Roland Garros in 2012, is well documented. And the results were everything a coach could dream of. At last Patrick had a player who knew exactly what it meant to be ambitious. It was in her DNA. And still is. The baby is due to arrive in the next few days but Serena, evidently, has not lost her focus. That’s ambition. So who, in both the men’s and women’s draw at the US Open, really has it? Eight women players, including Serena’s remarkable sister, Venus, have the chance to finish the tournament as No 1 in the world. Who has the ambition to achieve it? For the next two weeks, it is going to be fun finding out.